To mark the restoration of the City Assembly House and to celebrate the Society of Artists in Ireland who erected the building over 250 years ago, the Irish Georgian Society will host a world-class exhibition in June and July 2018 of eighteenth-century Irish paintings. Celebrating the building’s original incarnation as the first purpose-built public gallery in Britain and Ireland, the Exhibition will re-assemble paintings, including those byThomas Roberts, Jonathan Fisher, James Forrester, Robert Carver, Robert Healy and Hugh Douglas Hamilton, in the room in which they were first displayed between 1766 and 1780. What makes this exhibition even more exciting is the intention to hang these paintings in a similar manner as they were first exhibited. Members will have special access to the exhibition, with guided tours and exclusive events to mark the completion of the City Assembly House. 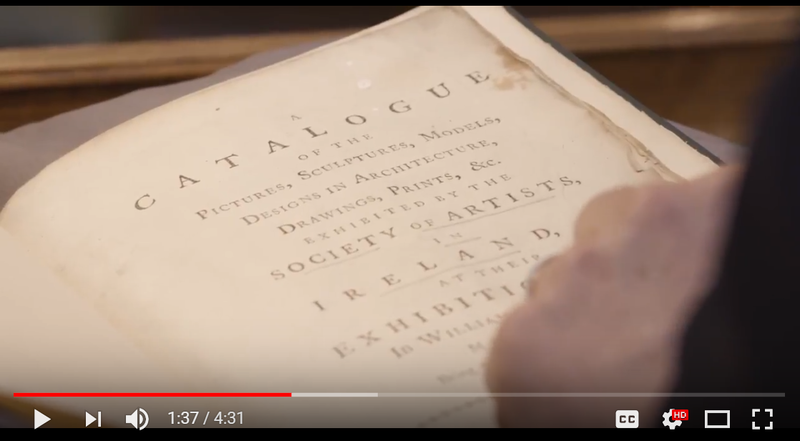 An accompanying publication will offer further occasion to revisit and evaluate these stimulating works; assessing Ireland’s first introduction to exhibition culture and the significant contribution it made to an increasingly self-confident national school of Irish art. This will be one of 2018’s great cultural events in Ireland, and should not be missed. Our exhibition events programme can be booked online here, or download the full programme here.